I love all kinds of sweets, desserts. Like two days back I was looking for some snacks in the evening. I went to my office cafeteria to the vendor counter where they issue tokens. 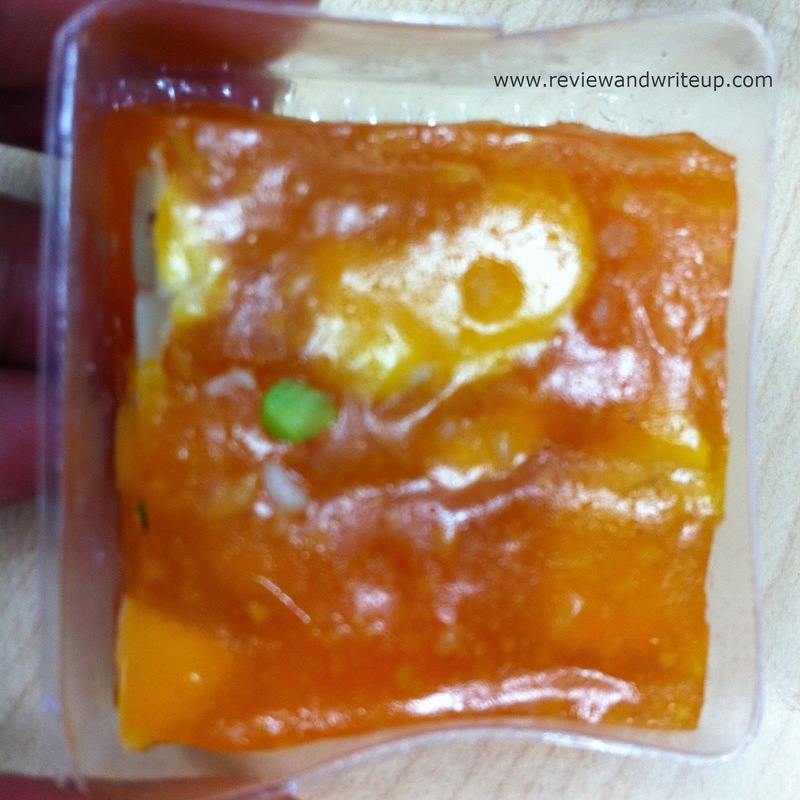 I was planning to buy a grilled sandwich when I saw bright orange color sweet, neatly packed lying on the counter. 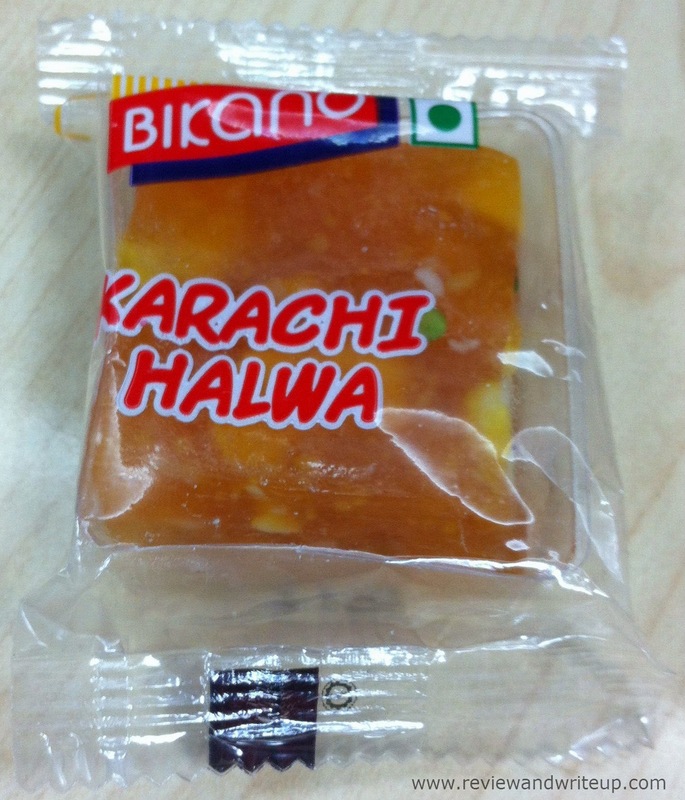 I immediately bought one and that’s when I had Karachi Halva for first time. Karachi Halva also known a Bombay Halva is really famous delicacy in many Asian countries. 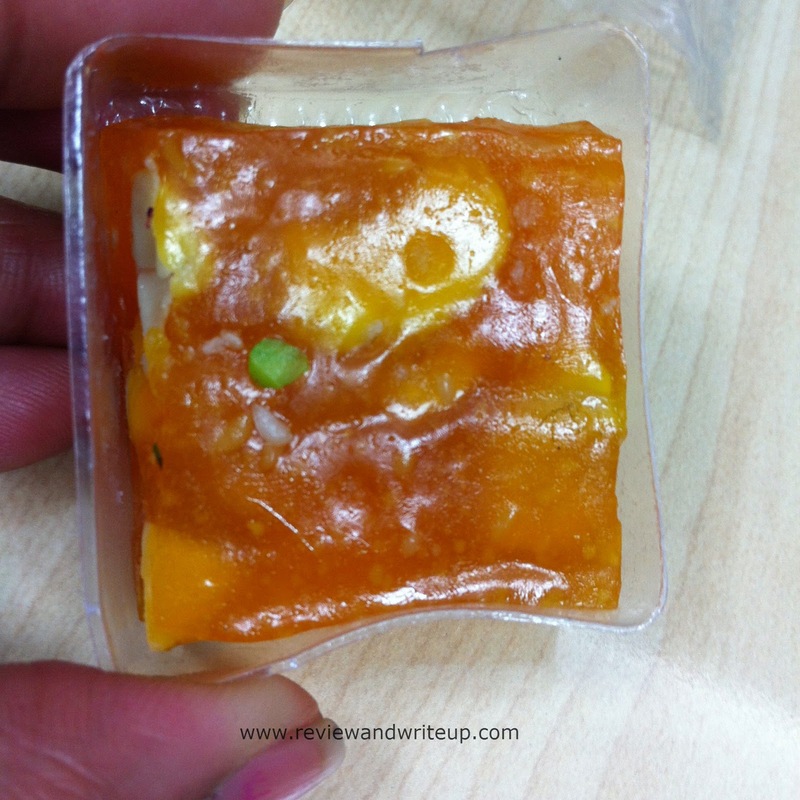 Packaging – It comes in small transparent plastic packet. So the actual product is clearly visible. The cake is adjusted in a rectangular plastic box. Once you remove the cover you can eat it one go. Packaging is so cute. My experience – I loved it. The color, garnishing, taste is awesome. The sweet looks so beautiful (I know beautiful isn’t the right word to describe a food item, but when you will see it you will agree with me). Best thing I liked is its neat packaging. I have already bought several pieces. The vendor was really happy and little amazed that how much diet she has. When you unwrap the sweet it is slight sticky and will stick to your teeth a bit. It’s little chewy, but I guess it’s just the characteristic of sweet. You will feel taste of ghee. 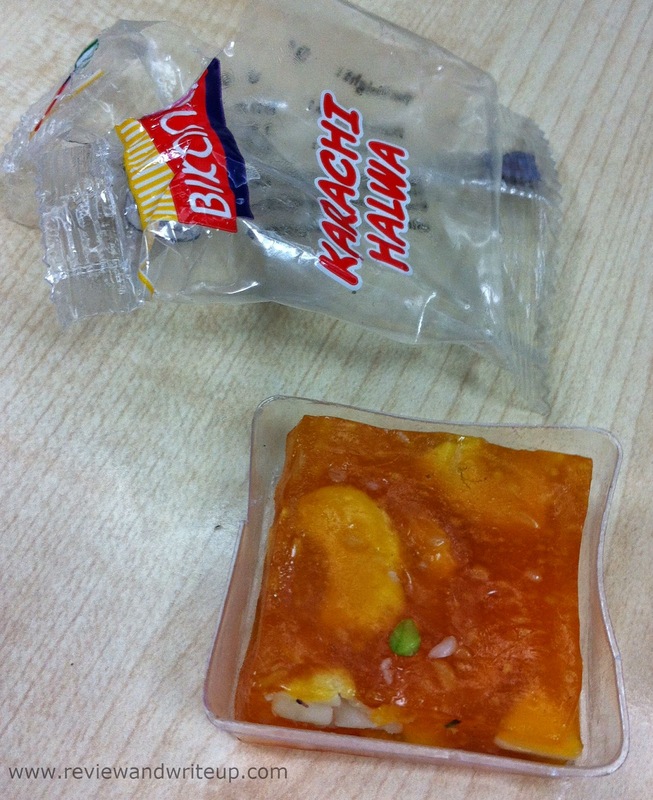 If you do not like ghee and sweets made of ghee, than this might not be for you. It works for me. Actually any sweet works for me, LOL. The chutku (small) packet is easy to carry in purse. Great snacking option. 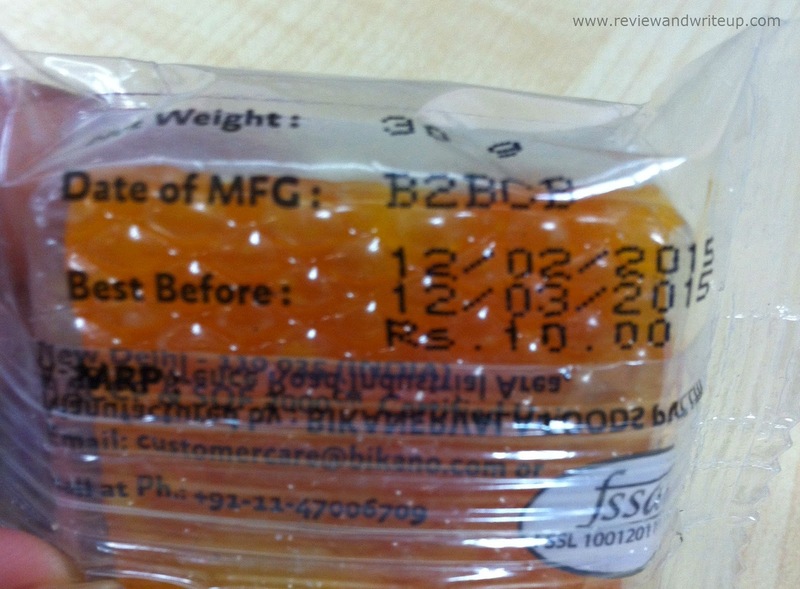 It has shelf life of a month. Less shelf life less preservatives. R&W Recommendation – Worth trying it. You can buy for your whole family and serve as dessert.